Work the first skein in stockinette stitch. Switch to orange colour - work in garter stitch till the end of a skein. Switch to red colour - work in stockinette till the end of a skein. Decrease 8 st equally around in the last red row. Switch to yellow colour - work in garter stitch till the ned of a skein. Decrease 8 st equally around in the last yellow row. Switch to red colour - work in stockinette stitch for 8 cm, then finish with three rows of 2x2 rib (it won't be visible in the final felted result, but it'll help the top part of the bag to stay more or less the same size as before felting). Sew the bottom flat with red yarn. With 7 mm straight needles, pick up 11 st on the side of a bag. 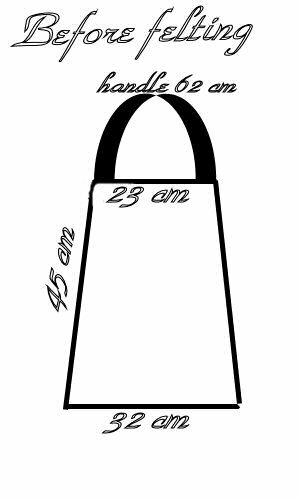 Repeat those two rows for 62 cm. 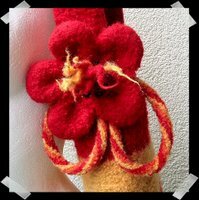 Attach the handle on the other side of the bag with red yarn using tapestry needle of a crochet hook. Felt the bag in 60 degrees. Now work 10 rows ( R5 to R14) in stockinette stitch, starting with knit row. Knit 5 of the petals. Stitch the petals together and felt the flower. Then, after it's dry, decorate it with beads and sew it on the bag. I love your pattern. I'm definitely adding it to my knitting "to-do-list". Joanna! This is gorgeous. I really love the felted flower, too! Just love this bag, thank you for sharing the pattern. I am printing it out right now and am going to get it started. This bag is so lovely! Thank you for the pattern. 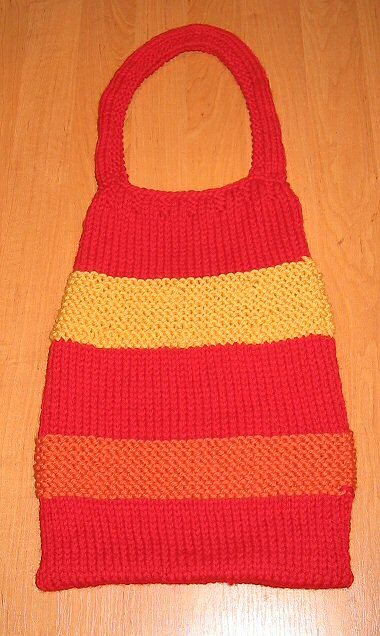 I am going to knit this one next. 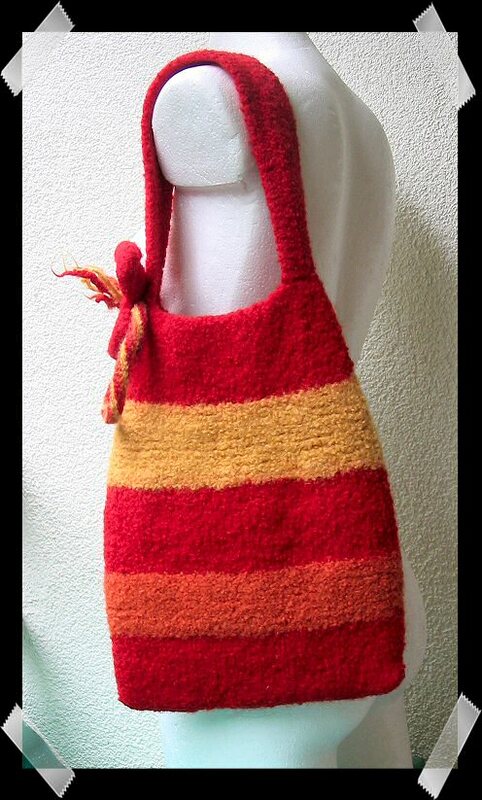 I really love this knitting bag, it looks great! I've just bought a new sewing machine from Sewing Makes Me Happy Website and it's great, I might knit one of these bags to put some of my sewing threads in.